Looking for a new car or truck for a great price? Use the Capital Ford Winnipeg car payment calculator to get an estimate on an auto loan rate or monthly car lease payments in the Portage la Prairie or Brandon area. Find out the purchase price of your next Ford F-150 or Ford EcoSport today with our simple payment calculator. While every reasonable effort is made to ensure the accuracy of this information, we are not responsible for any errors or omissions contained on these pages. Please verify any information in question with the dealership. Have Car Loan Estimate Questions? If you have any questions about your auto loan interest or lease payments for your next vehicle? Contact us at your convenience for finance and lease help. We want to get you behind the wheel of a new Ford for the best price as soon as possible! Explore our new and used vehicles available near Steinbach, then get your calculated car payment estimate from Capital Ford Winnipeg. 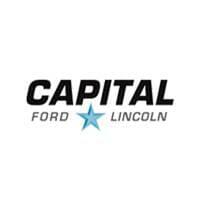 Capital Ford Winnipeg	49.8832073, -97.1953835.